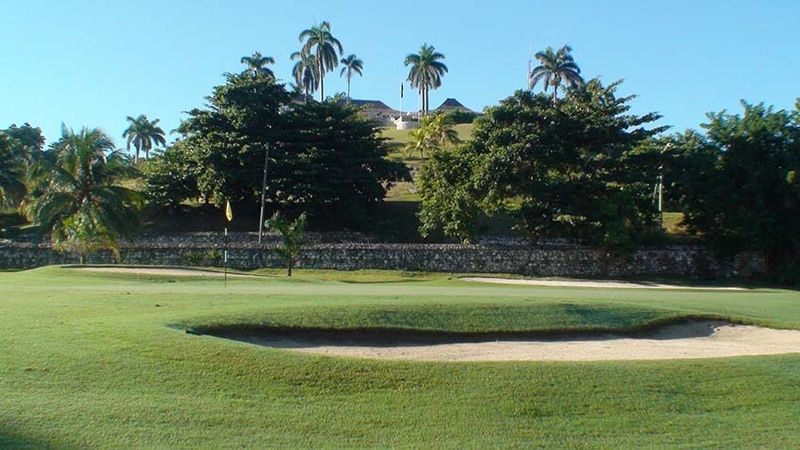 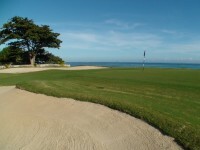 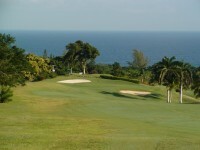 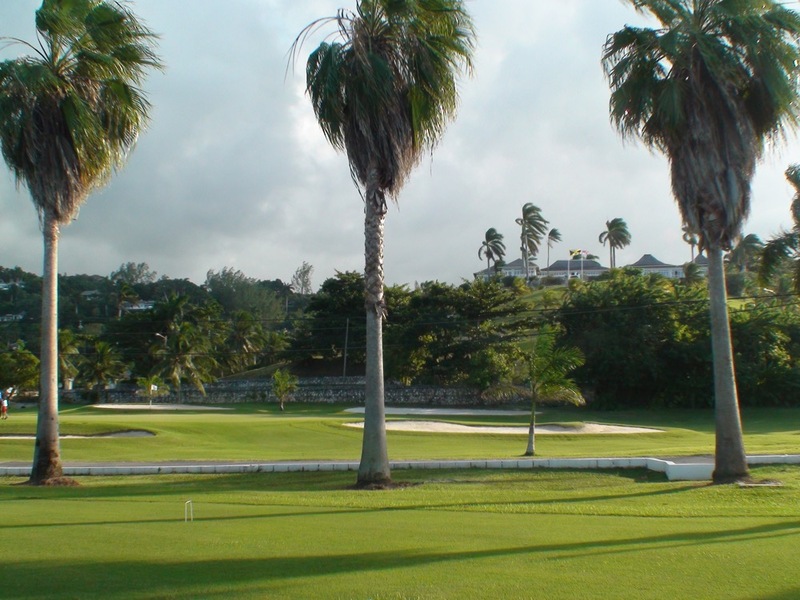 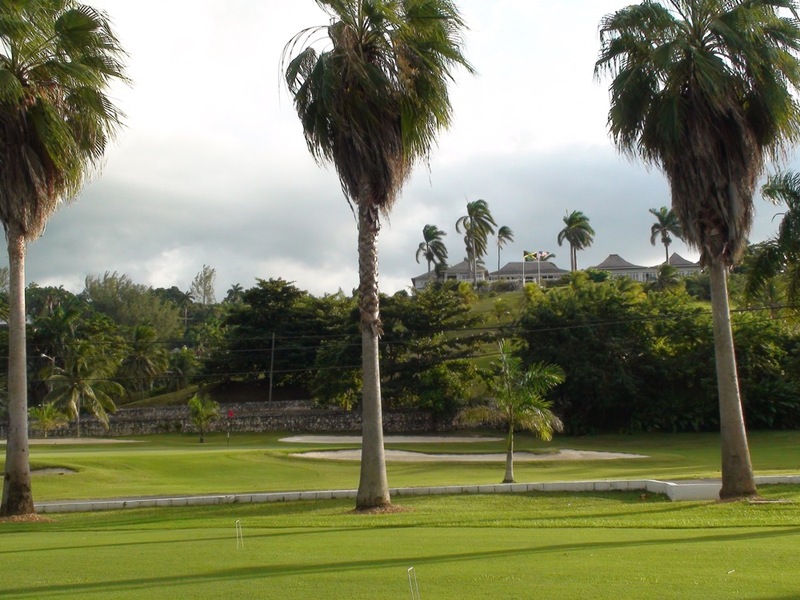 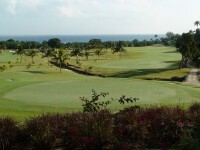 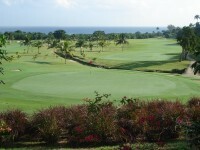 The Home of Golf, St. Andrews, has its incomparable Old Course and here at Winter’s Home of Golf (TM) in Jamaica, the “Old Course” is The Tryall Club! 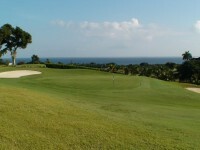 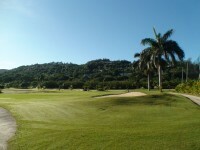 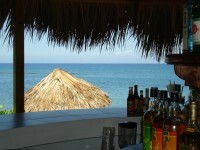 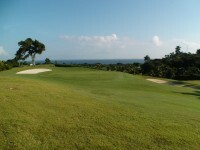 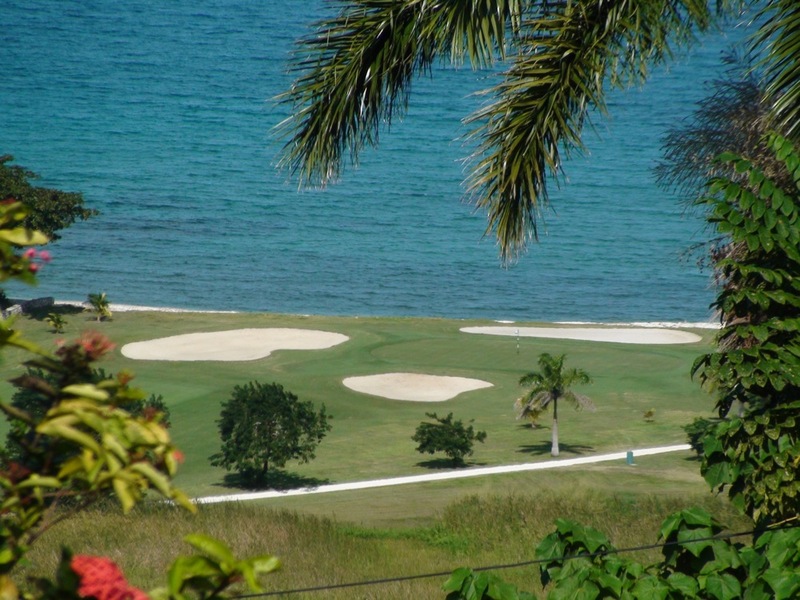 With its stately tall palms lining thick Bermuda-grass fairways, The Tryall Club, about 20 minutes south of Montego Bay Airport, is thought by many to be the quintessential Caribbean golf experience. 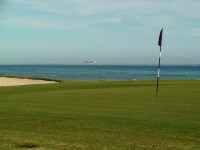 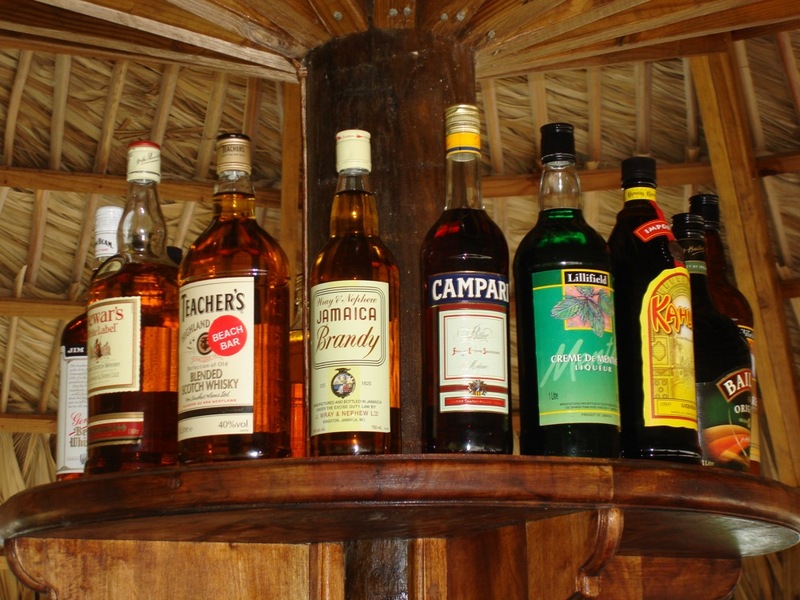 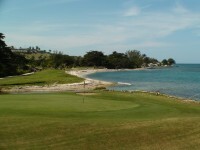 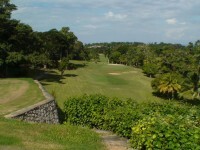 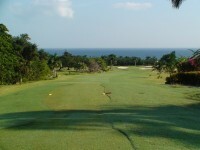 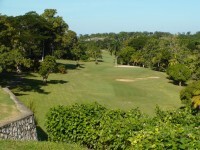 Designed in 1958 by Ralph Plummer, The Tryall Club in many minds established the game of golf in Jamaica and the Caribbean. The first six holes at The Tryall Club are close to the ocean, pancake-flat with traditional bright-white bunkers along with large ponds at fairways-and-greens’ edge, ever-present trade winds, and large sloping greens providing a stern challenge along the way. 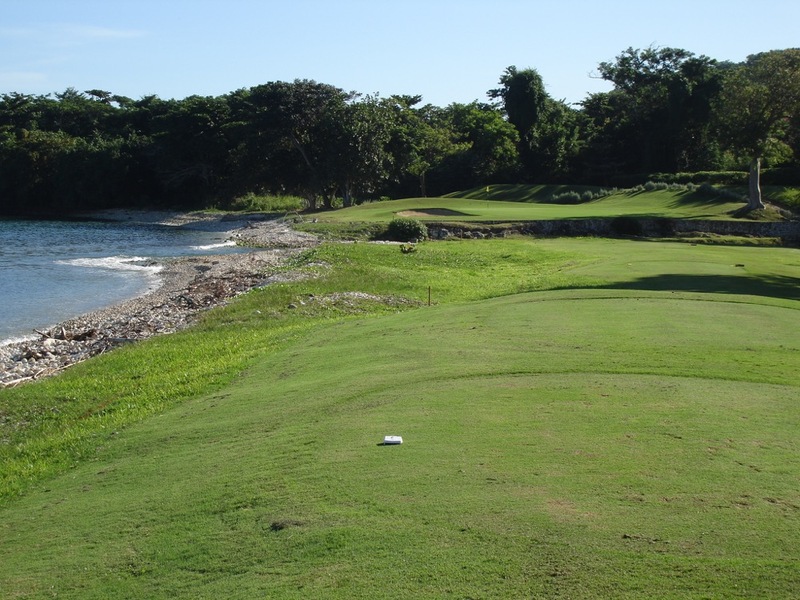 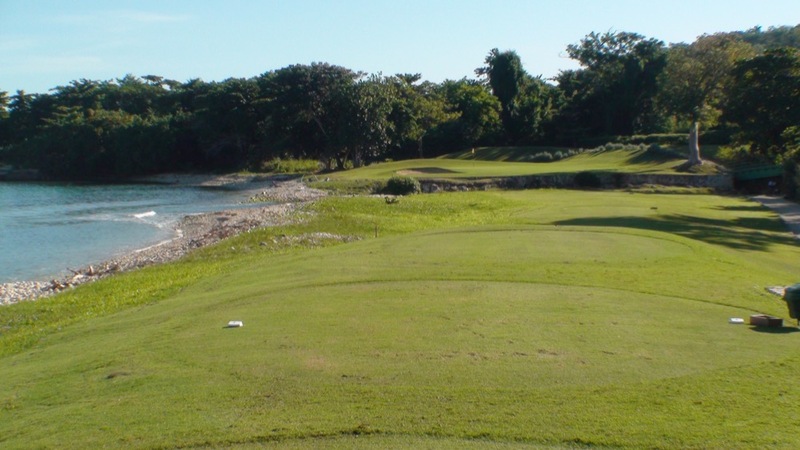 The highlight of this stretch at The Tryall Club in Jamaica is the 4th, a medium-length par 3 right on the shore with the Caribbean Sea guarding the left and Jamaica’s Flint River crossing in front, one of the most beautiful par-3s one could ever experience. 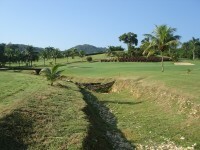 After the opening stretch at The Tryall Club, golfers go underground, crossing under Jamaica Highway A1 on their way to both the Tryall 7th tee and a complete change of pace. 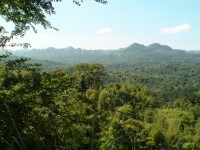 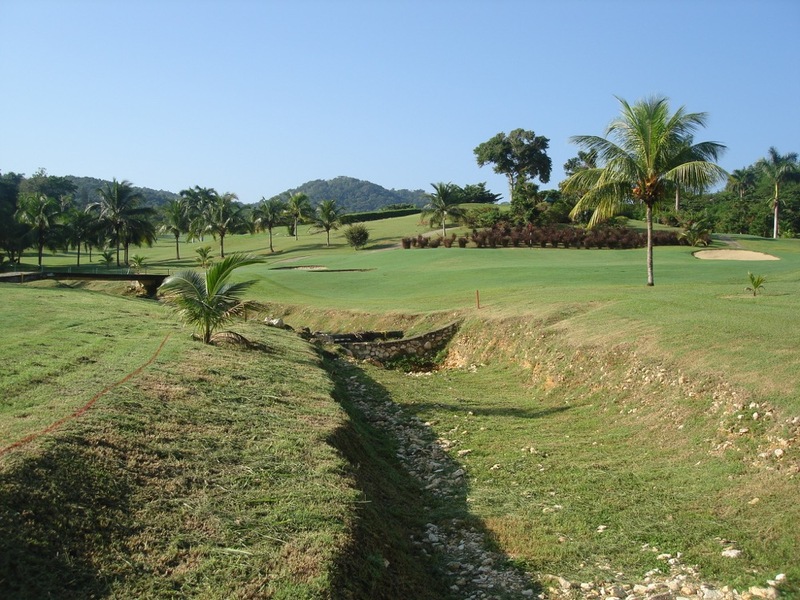 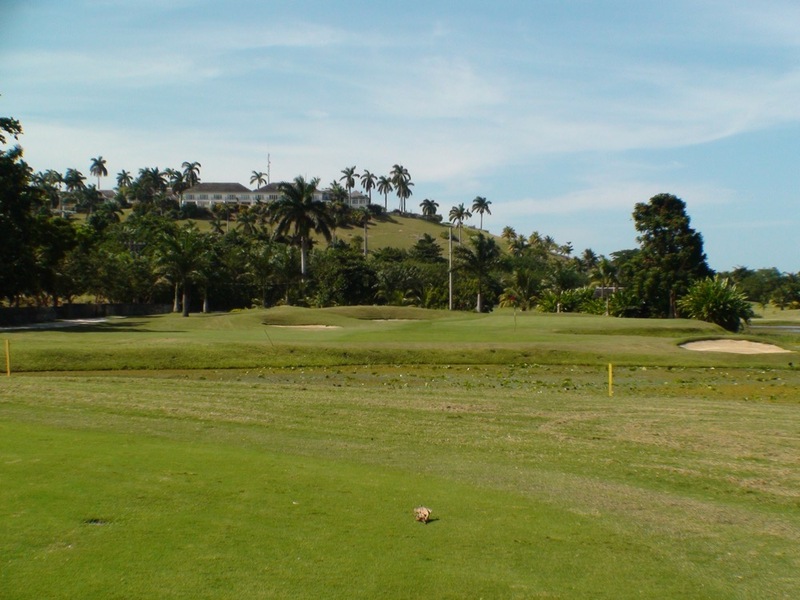 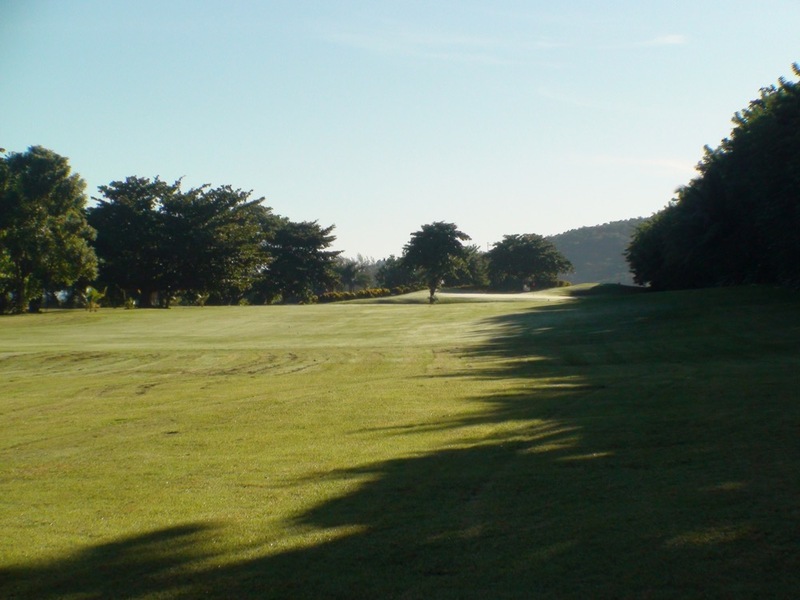 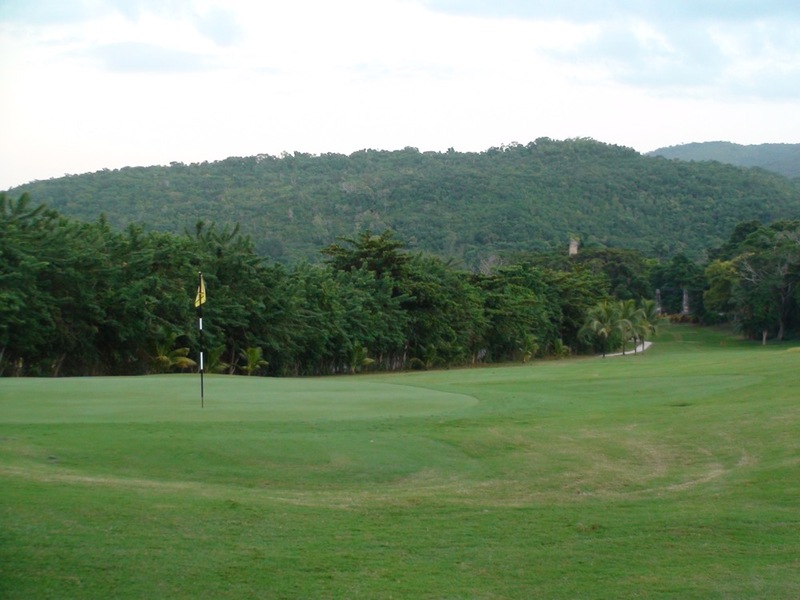 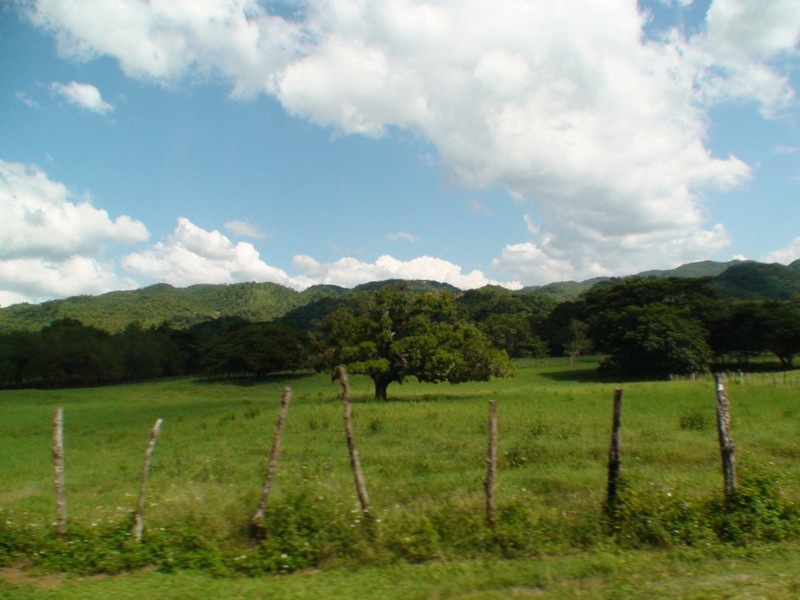 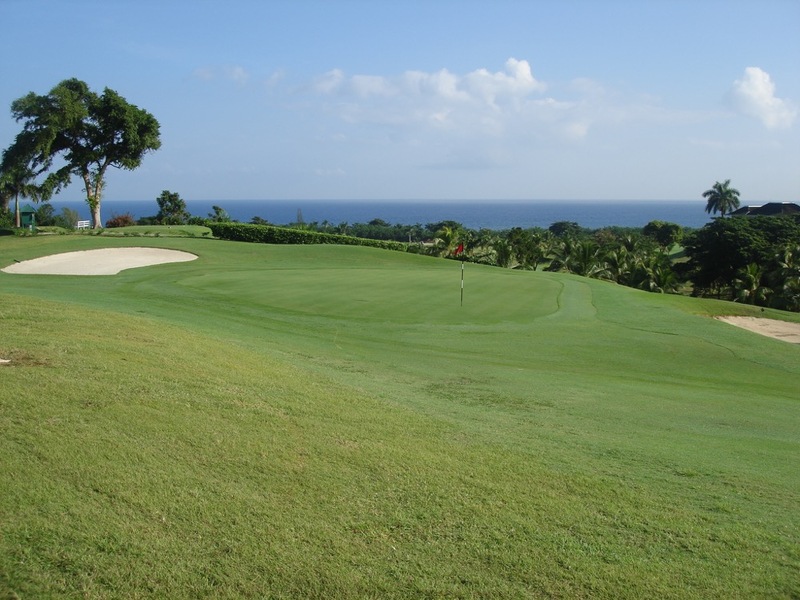 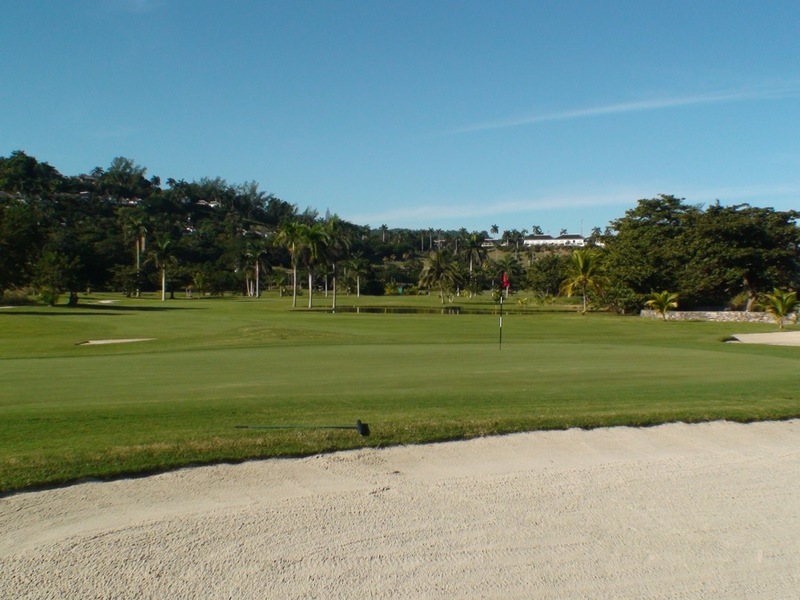 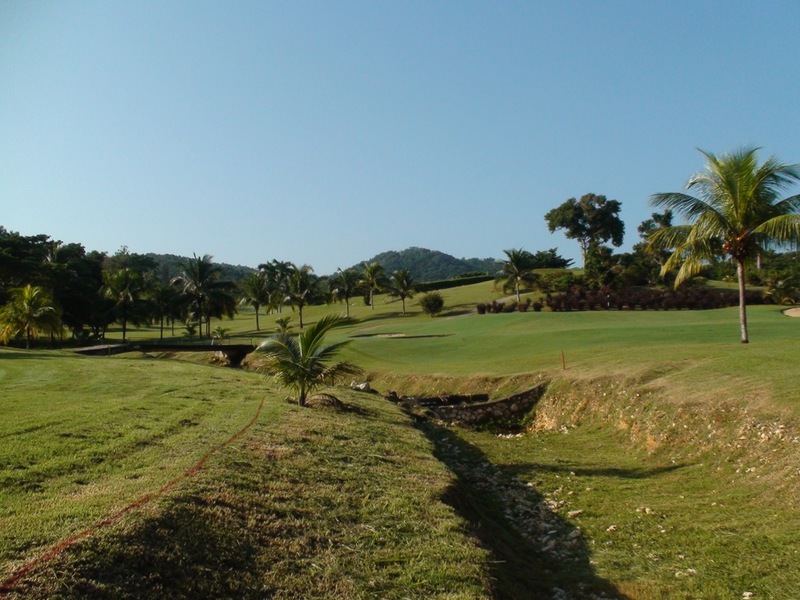 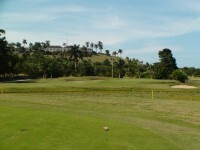 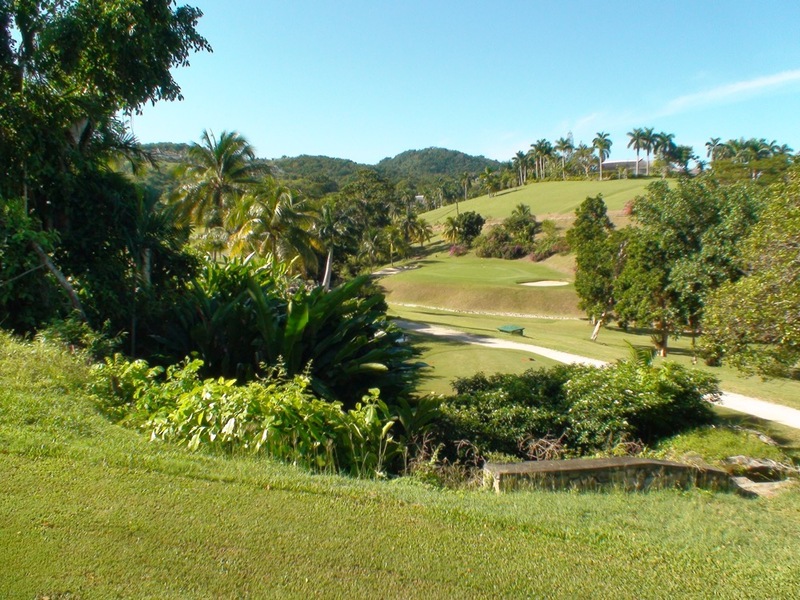 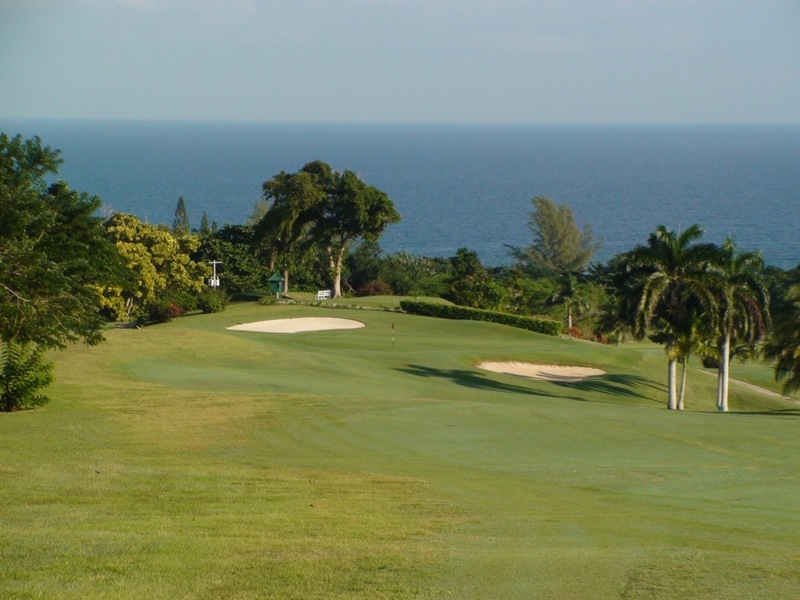 The rest of The Tryall Club’s classic layout winds through the high hills with some of the most interesting topography to be found in Jamaica and in fact the entire Caribbean. 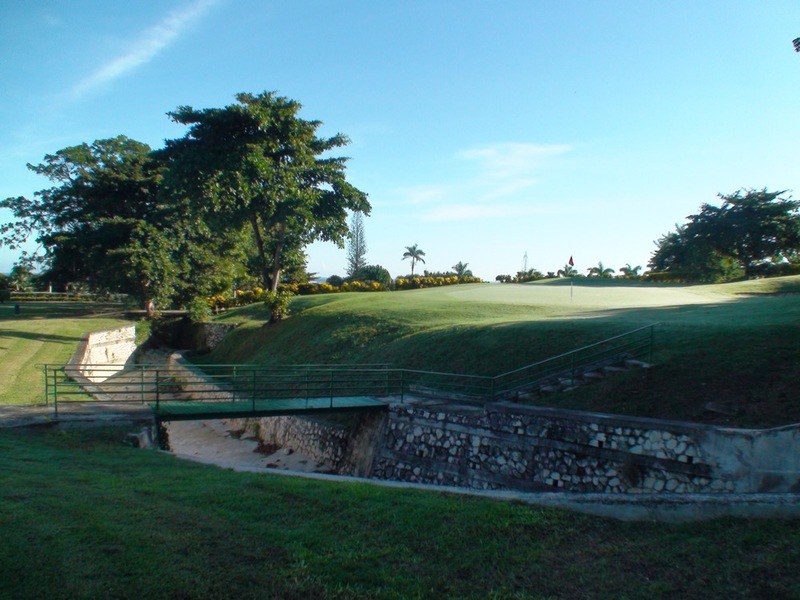 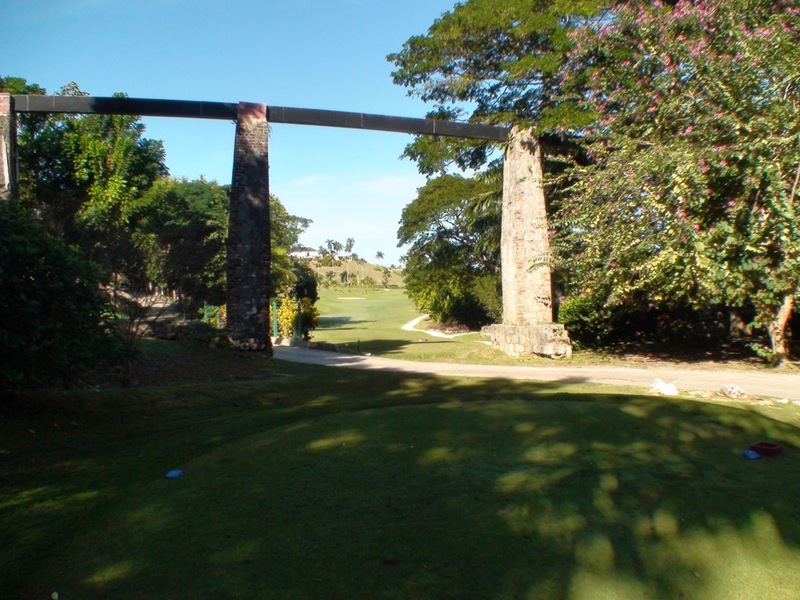 It’s an old-school feel, and in fact the tee shot on 7 at The Tryall Club goes underneath one of Jamaica’s ancient aqueducts. 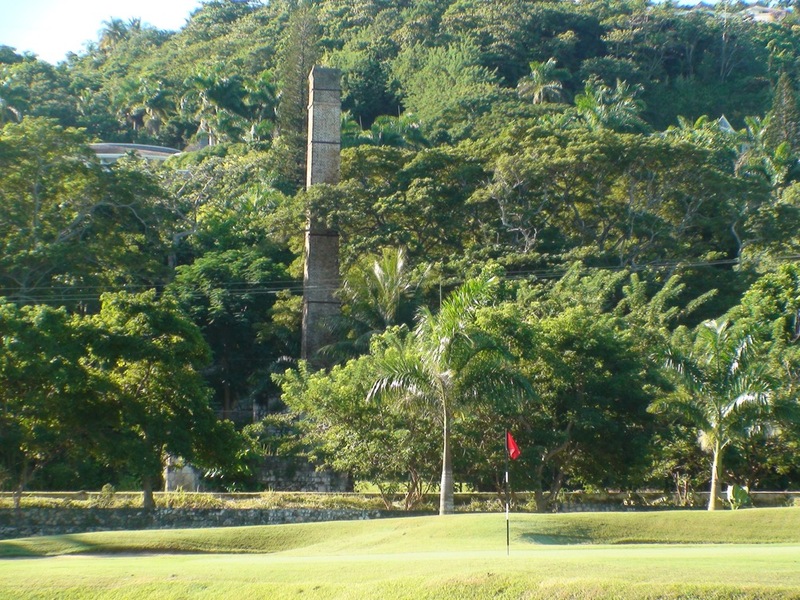 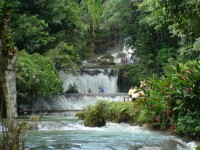 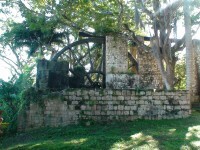 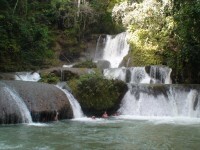 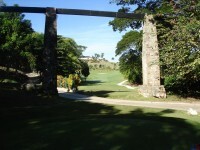 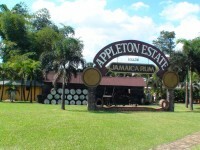 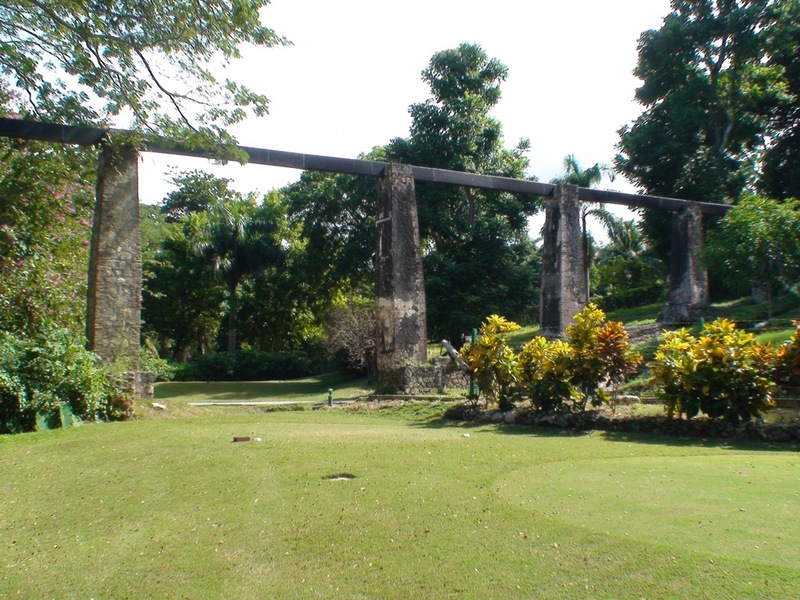 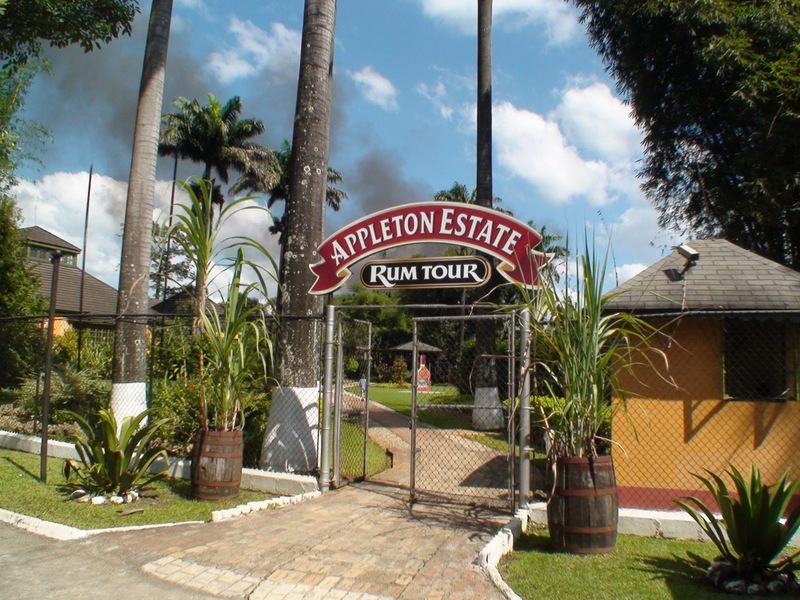 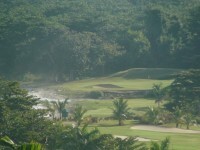 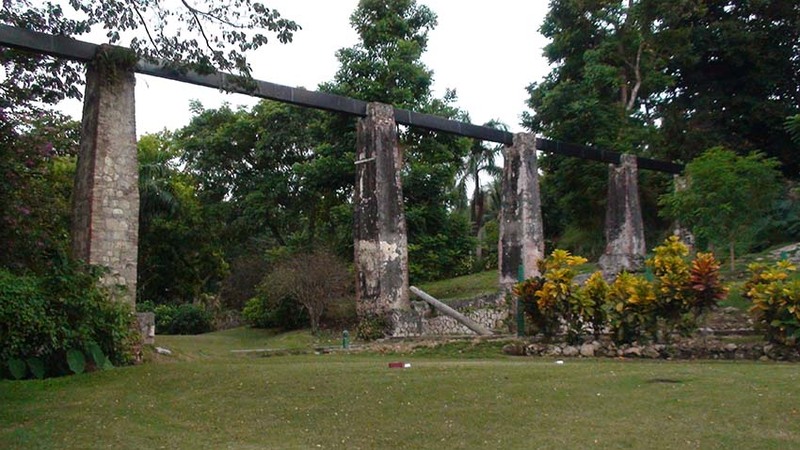 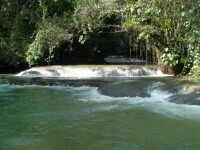 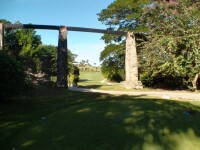 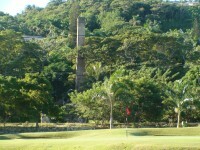 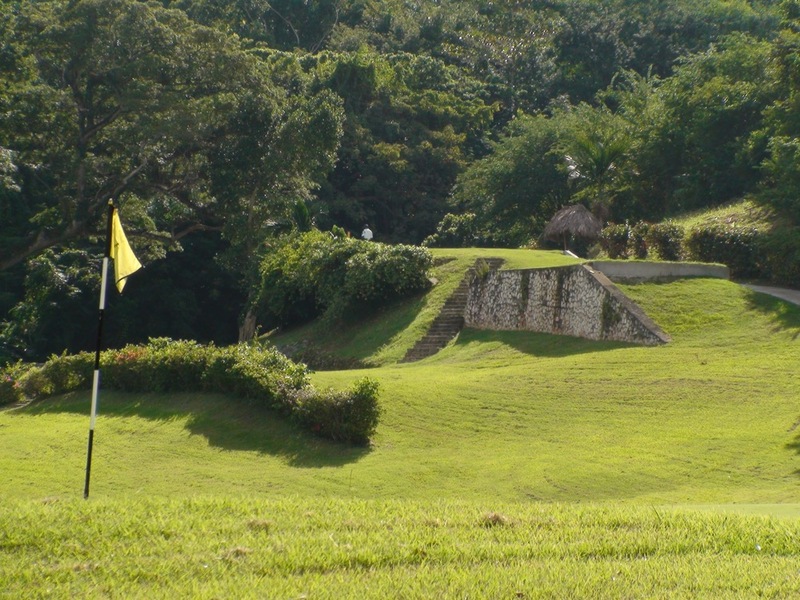 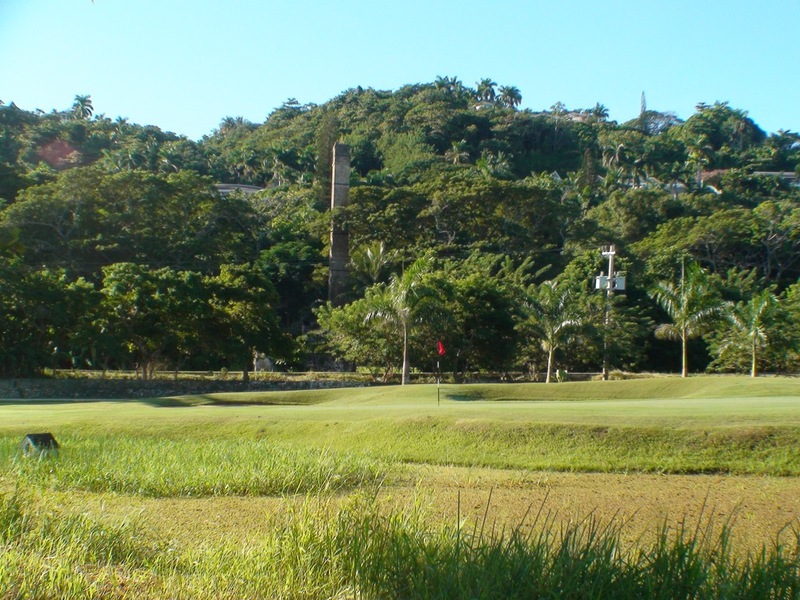 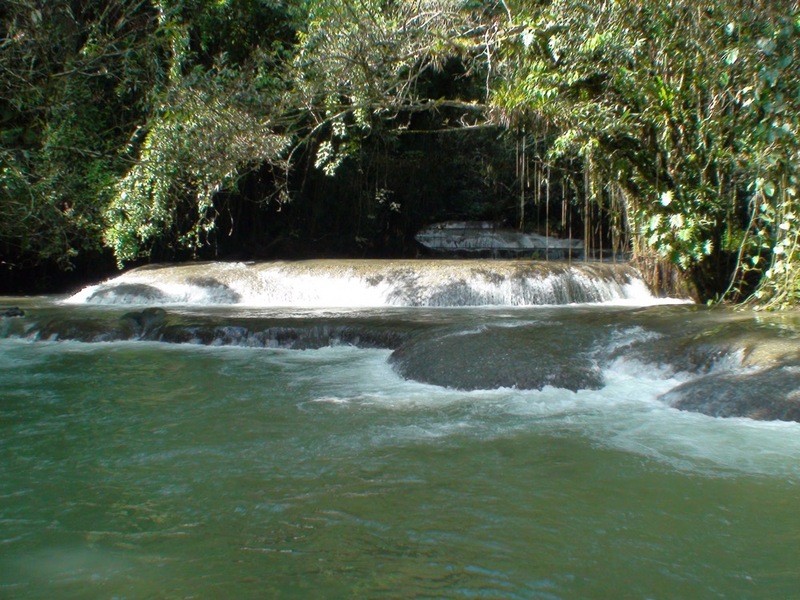 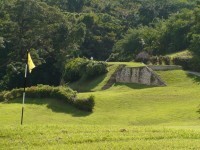 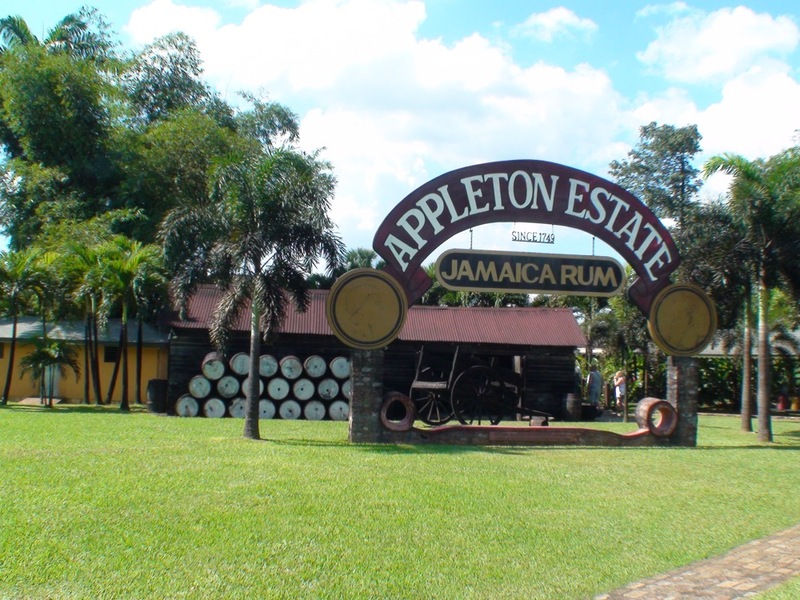 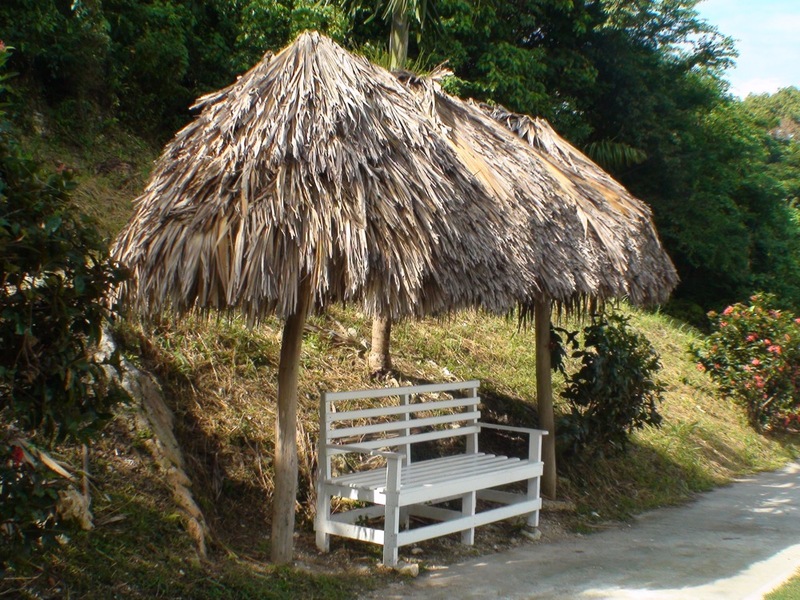 Take time to explore the famous Water Wheel as well just to the right of Tryall’s 7th tee, along with ruins that are straight from Indiana Jones, and then try to sneak in Tryall’s “spare hole”. 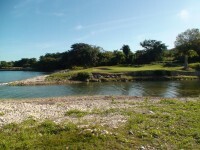 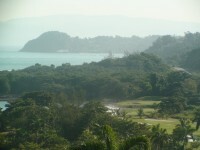 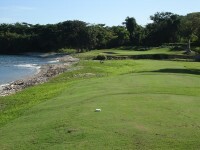 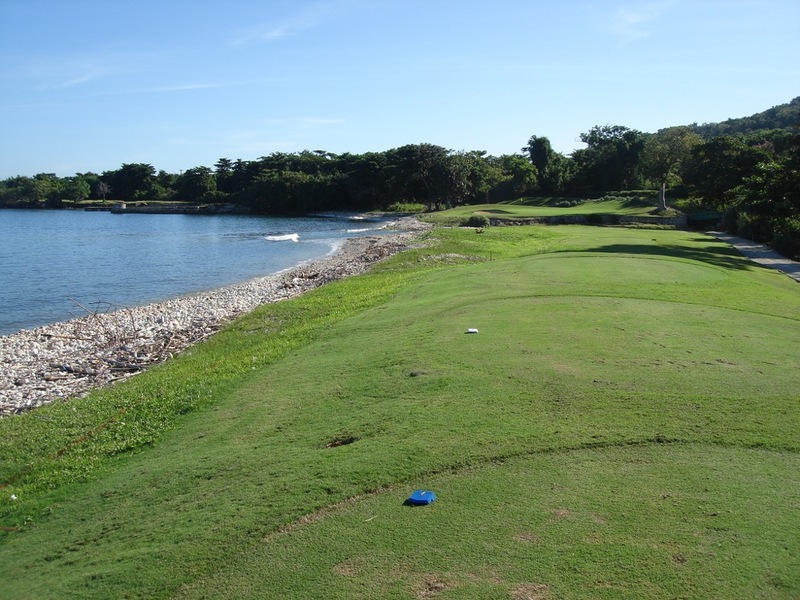 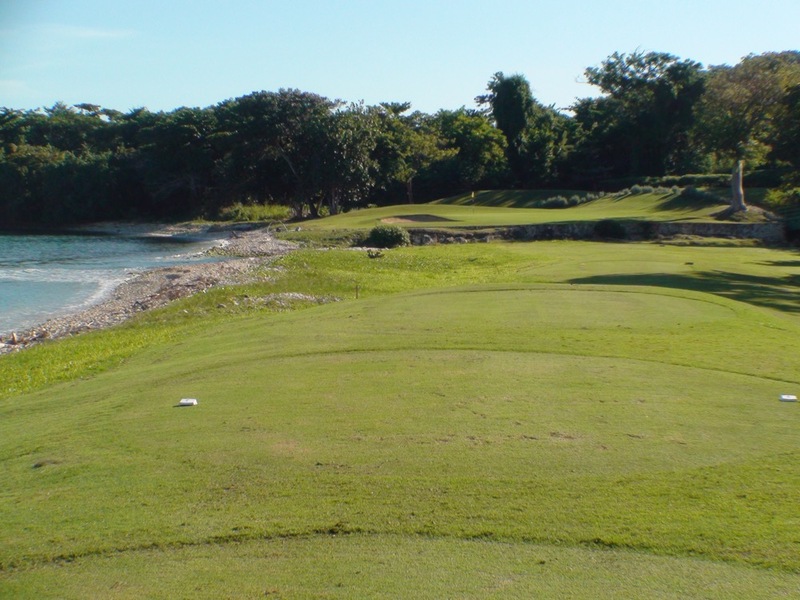 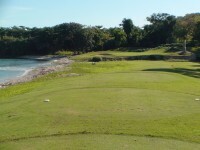 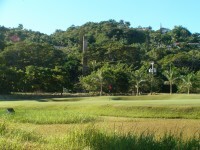 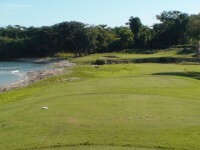 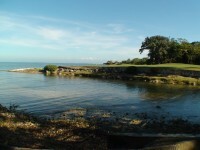 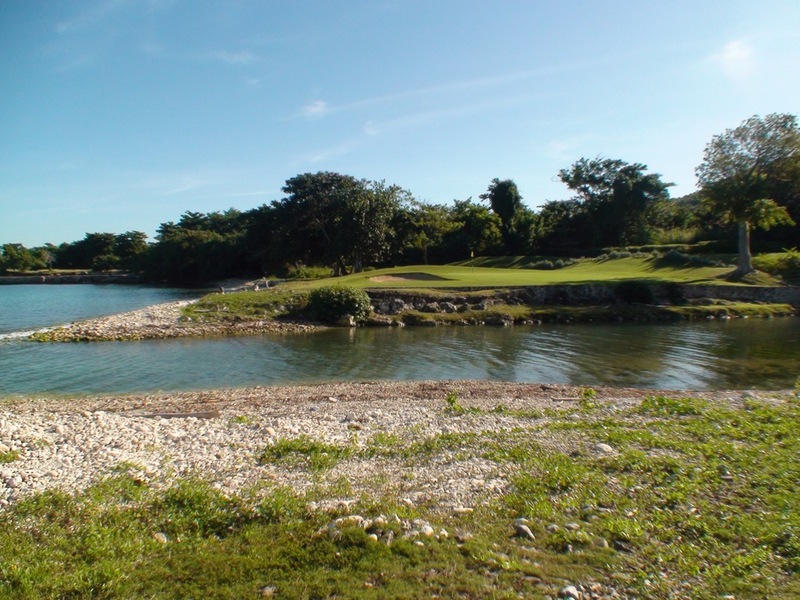 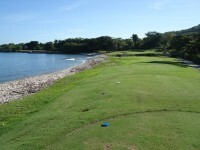 Between 7 and 8 at The Tryall Club are the “ruins” of an abandoned par 3, replaced by the current 4th hole when The Tryall Club obtained additional property along the coastline. 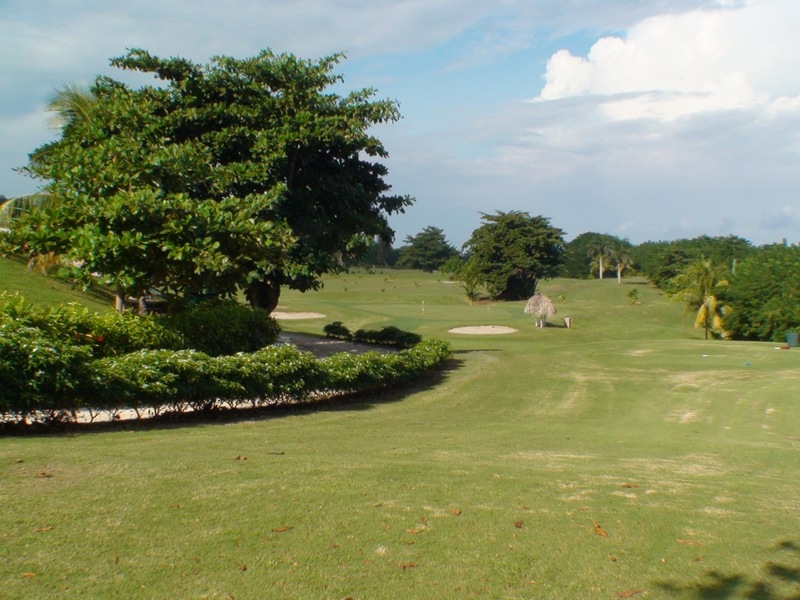 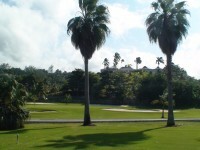 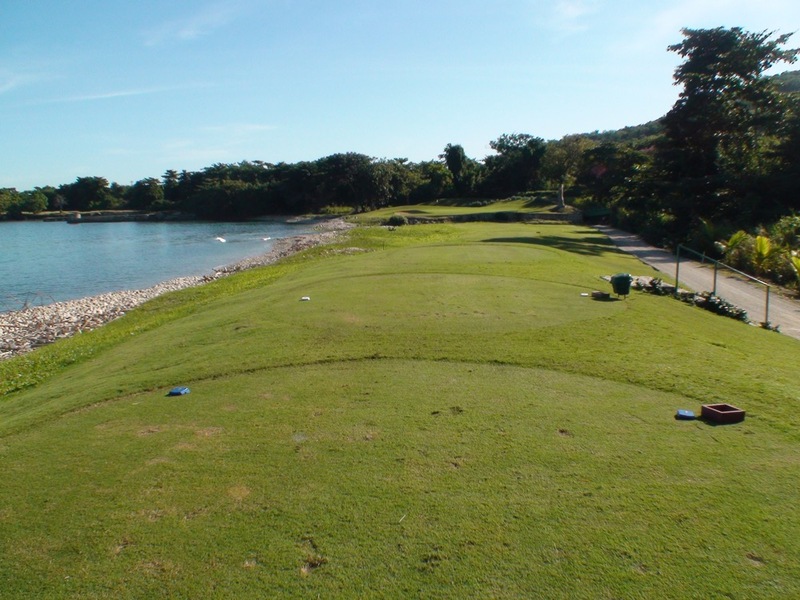 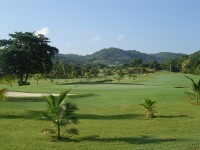 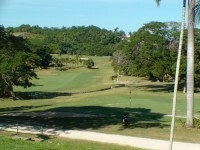 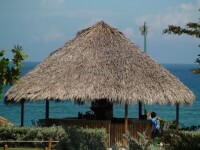 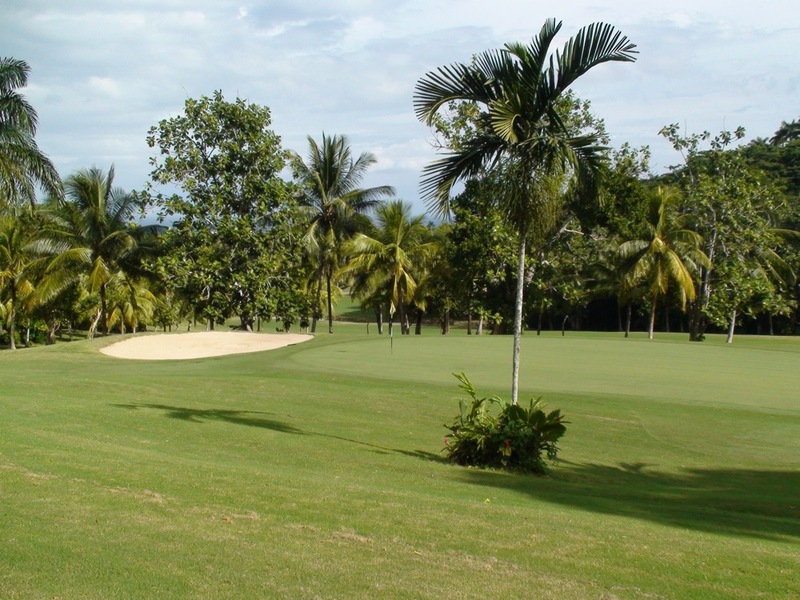 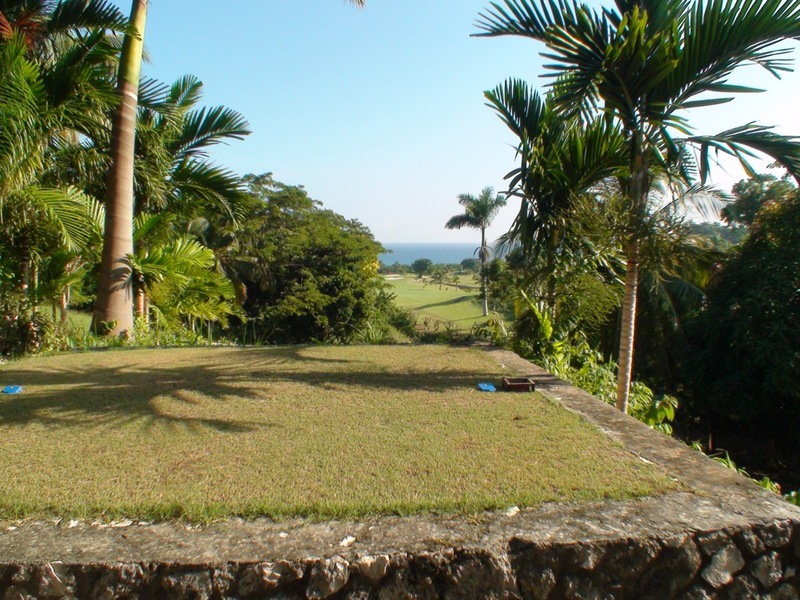 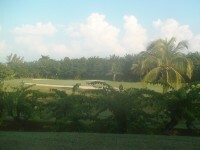 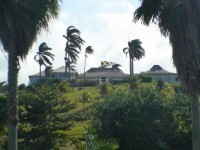 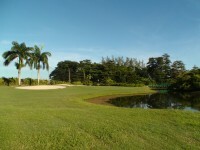 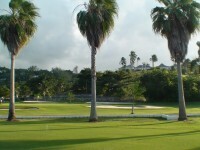 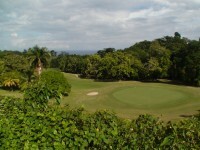 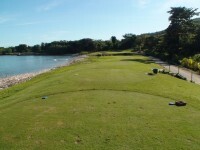 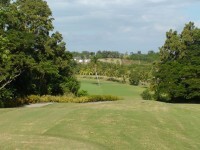 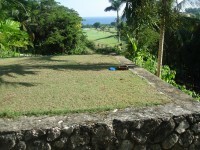 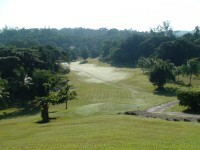 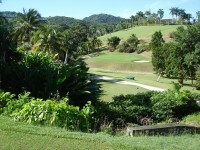 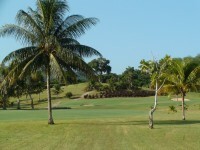 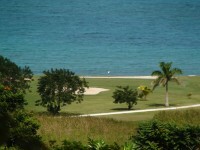 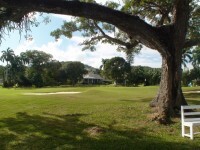 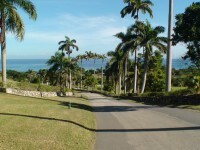 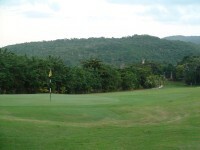 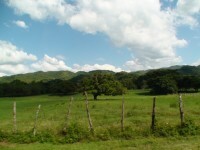 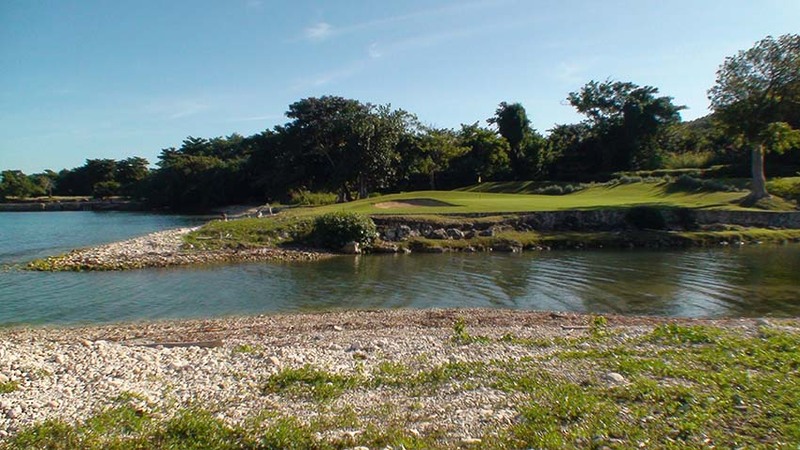 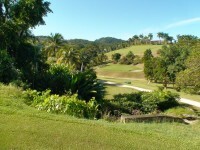 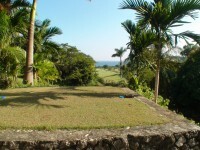 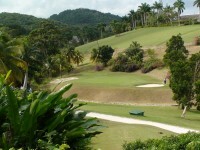 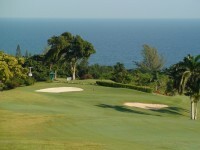 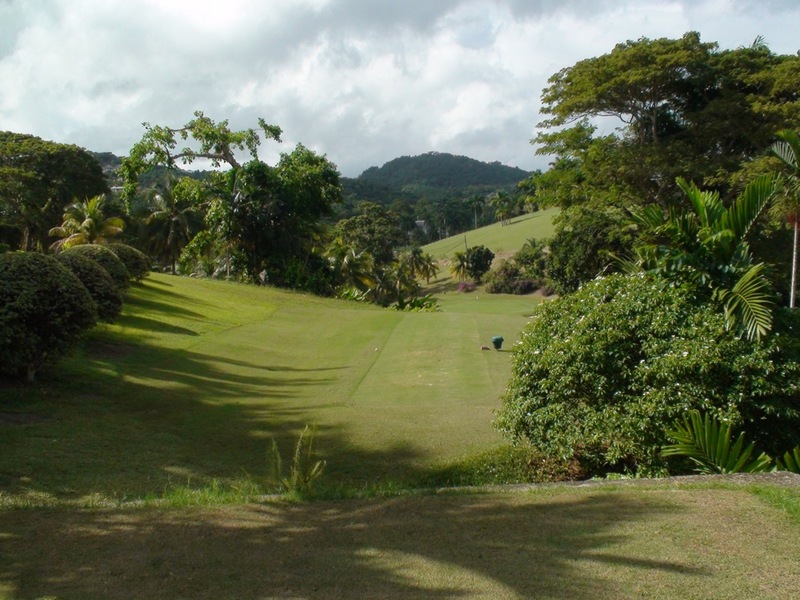 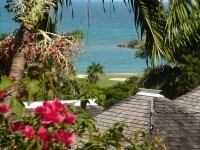 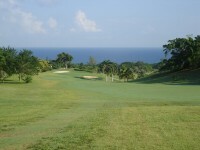 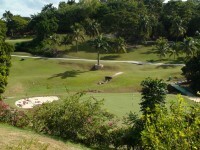 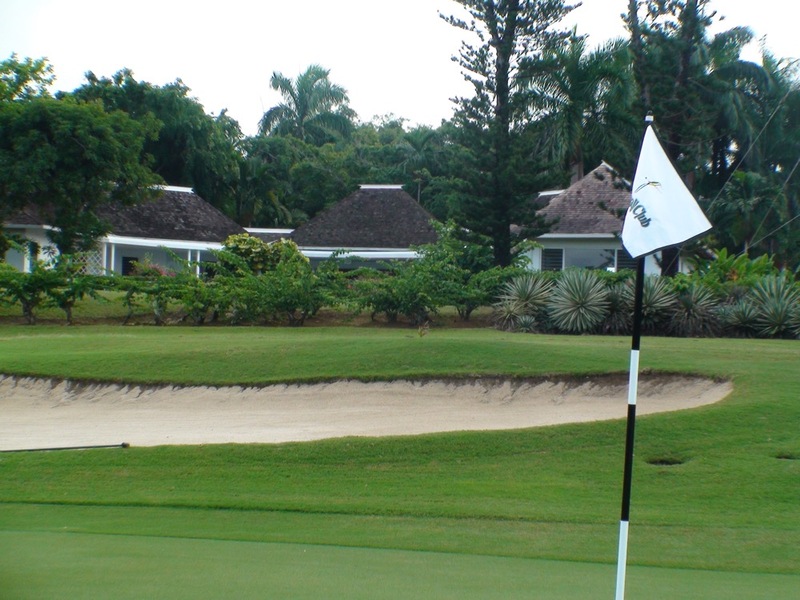 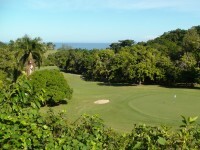 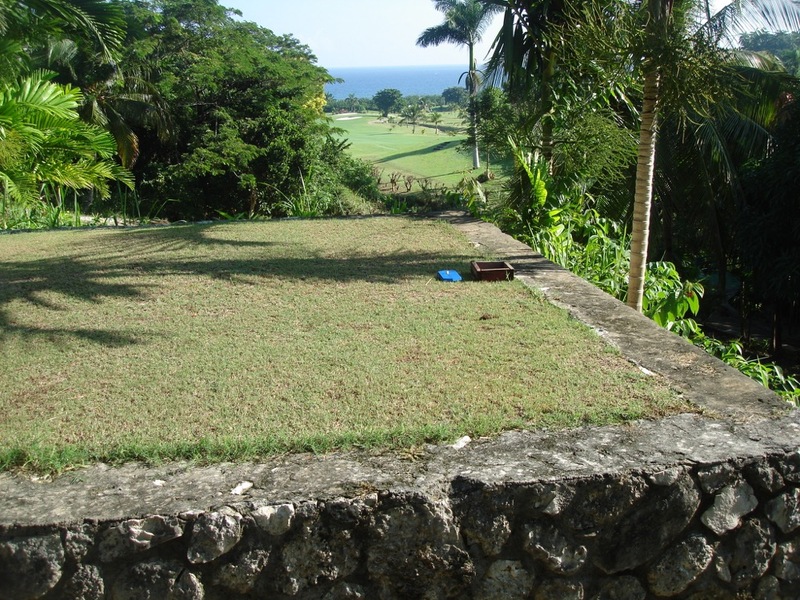 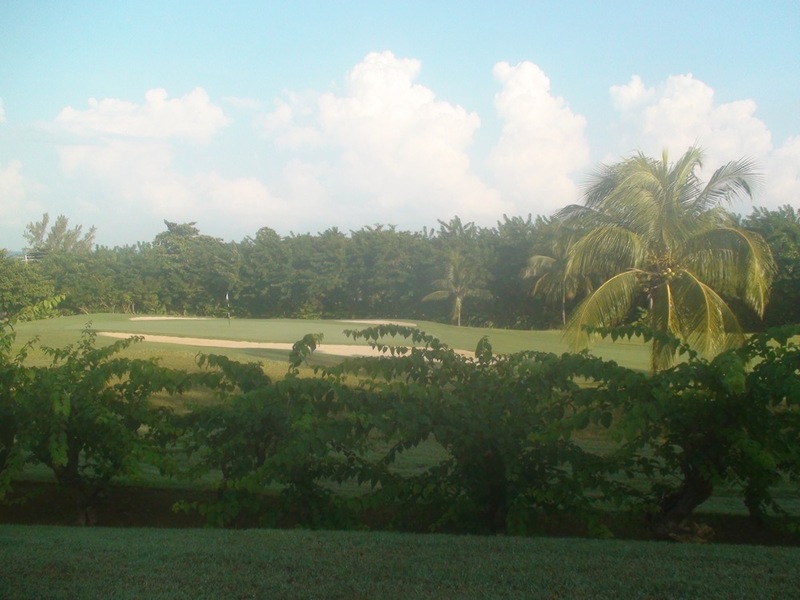 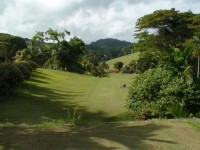 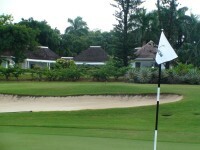 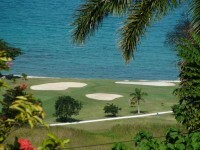 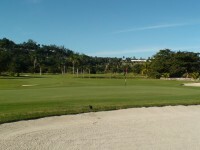 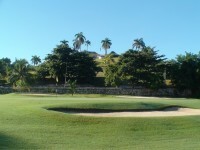 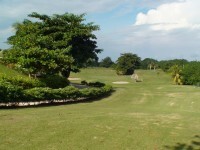 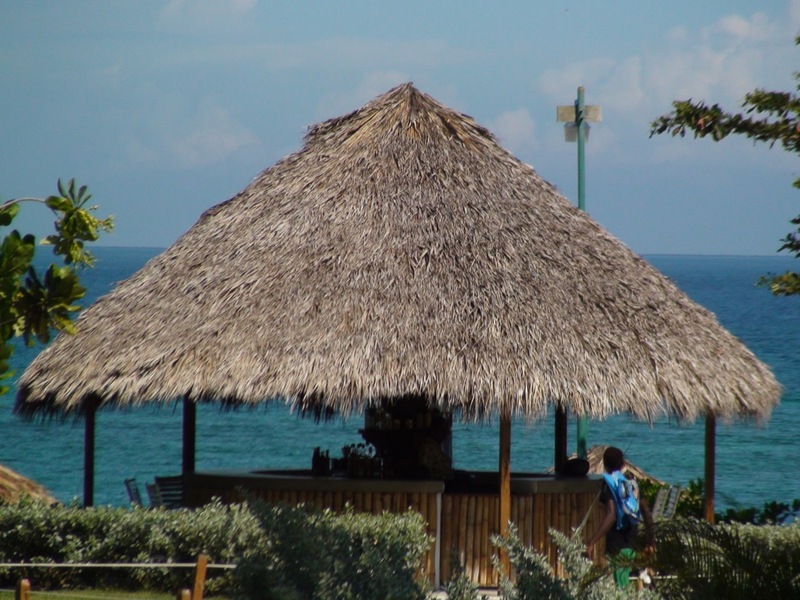 Right at the base of The Tryall Club’s Great House, an iconic Jamaica golf lodge, the tee is still discernible and the green and bunkers are now a short-game practice area. 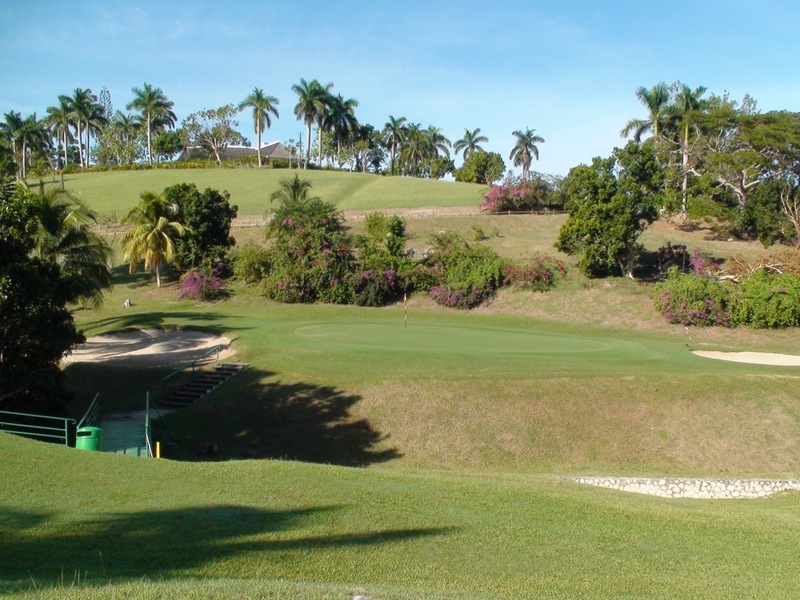 It’s maybe 100 yards at most, but pick one of the practice-green holes and play closest-to-the-pin for a great “side bet” in the middle of the round at Tryall! The back nine at The Tryall Club in Jamaica begins with another memorable par-3 over a deep ravine and yet another incredible par-3 waits on Tryall’s 12th. 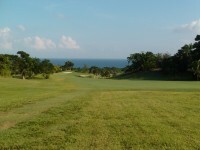 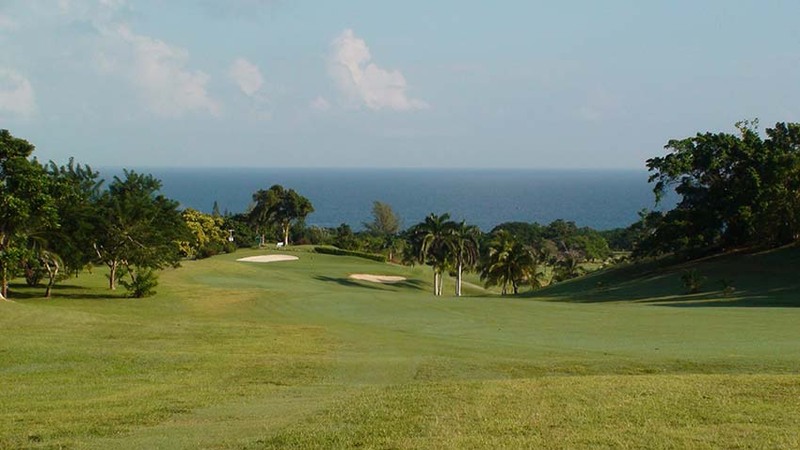 We have played arguably four “signature” holes to this point but the original signature hole at The Tryall Club is likely the 14th, a long, downhill par 4 with sweeping views of the blue Caribbean in the distance, an unforgettable Jamaican golf view. 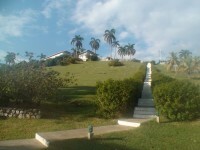 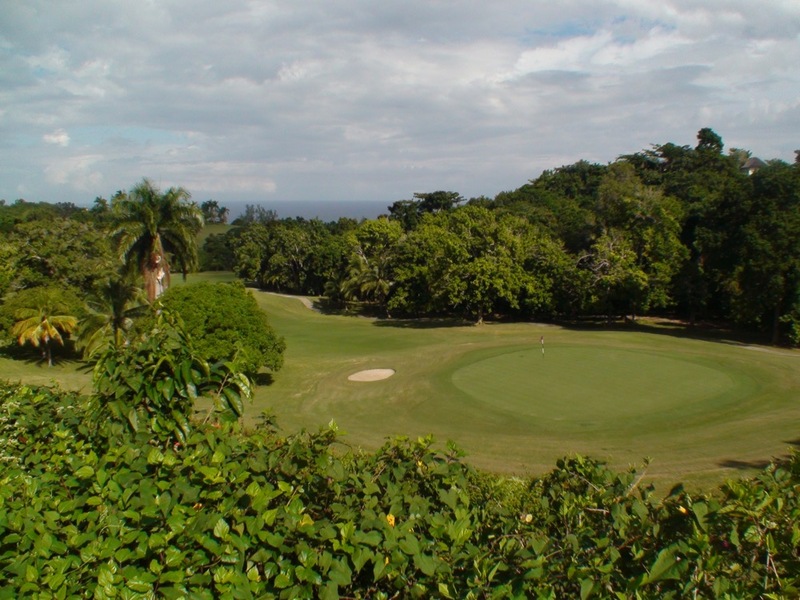 By the time you finish the short par-4 18th at The Tryall Club, with the Tryall Great House standing watch high above, you will understand that you have experienced something special here in Jamaica. 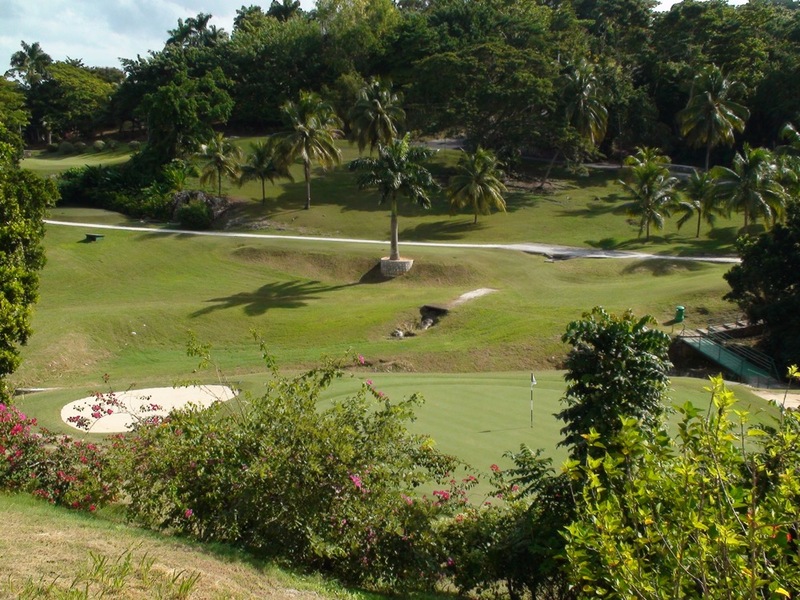 And making it that much more special are the amazing Tryall Club caddies, so knowledgeable about the course, so entertaining to have in the group, you wouldn’t dare head off the tee at The Tryall Club without one. 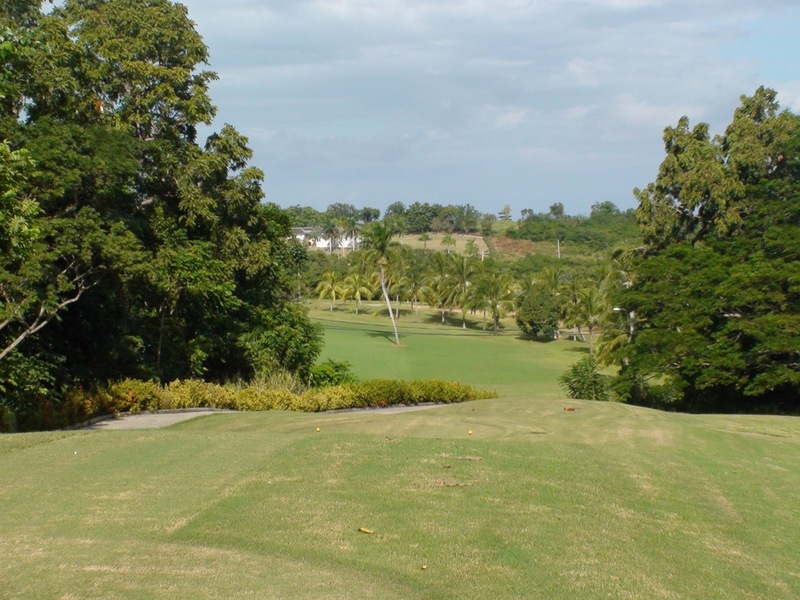 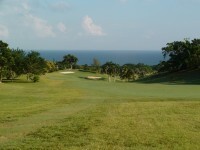 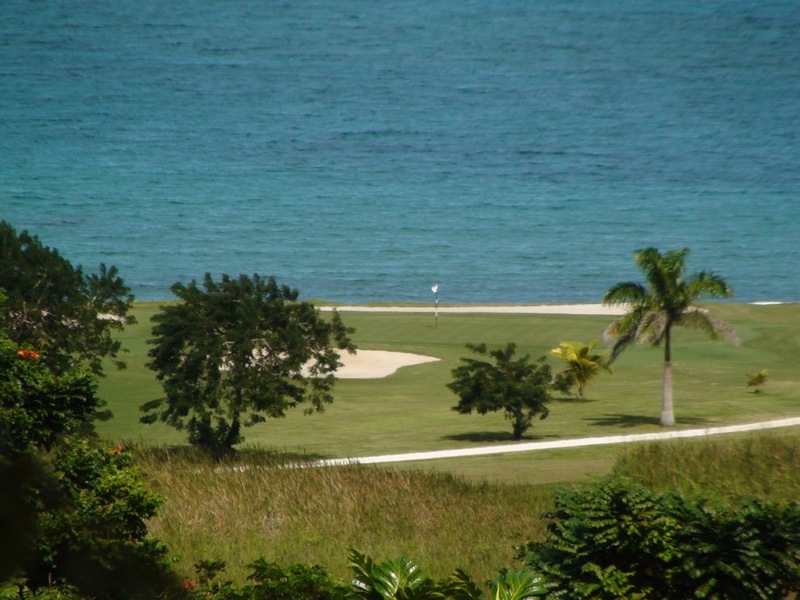 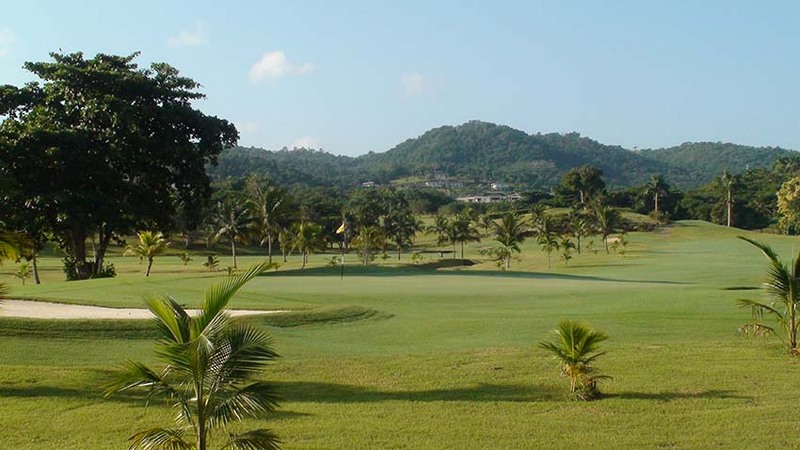 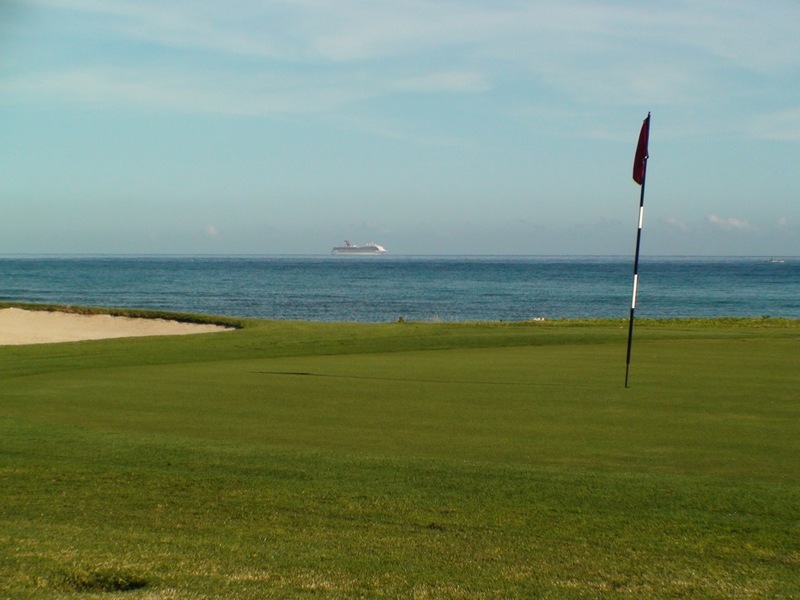 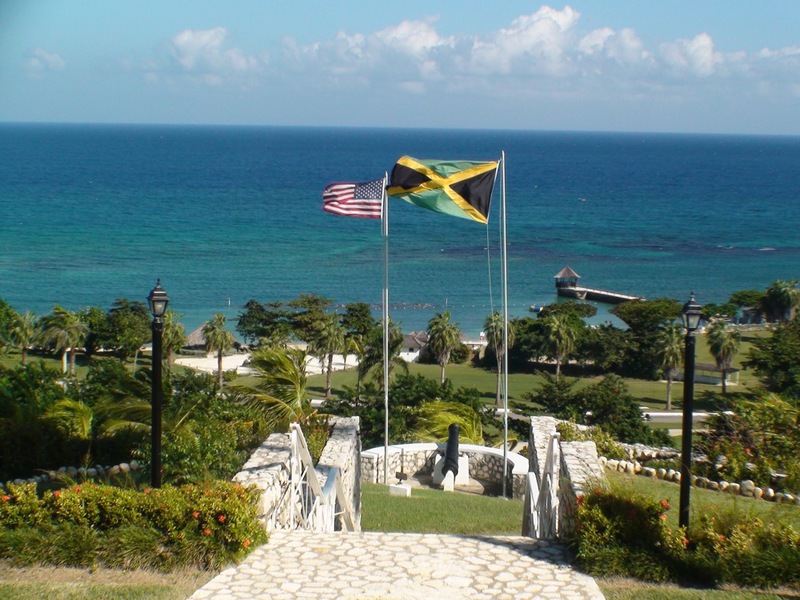 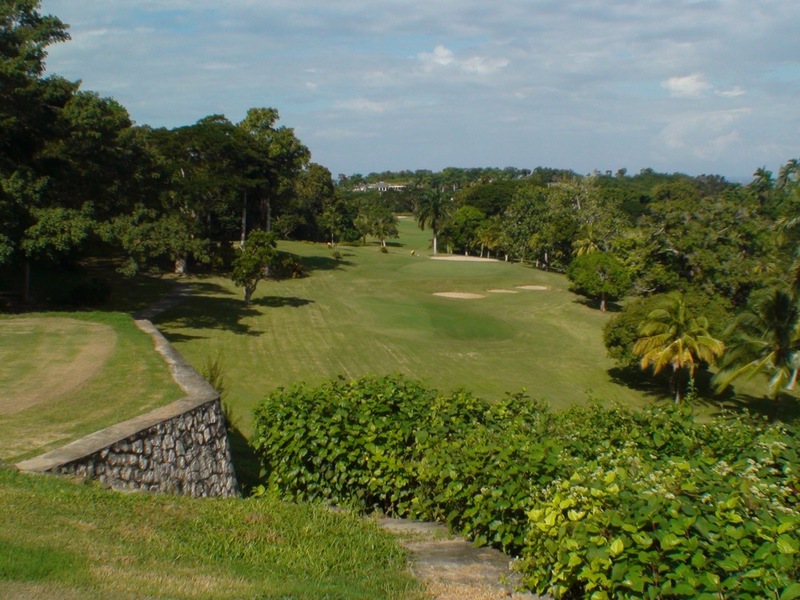 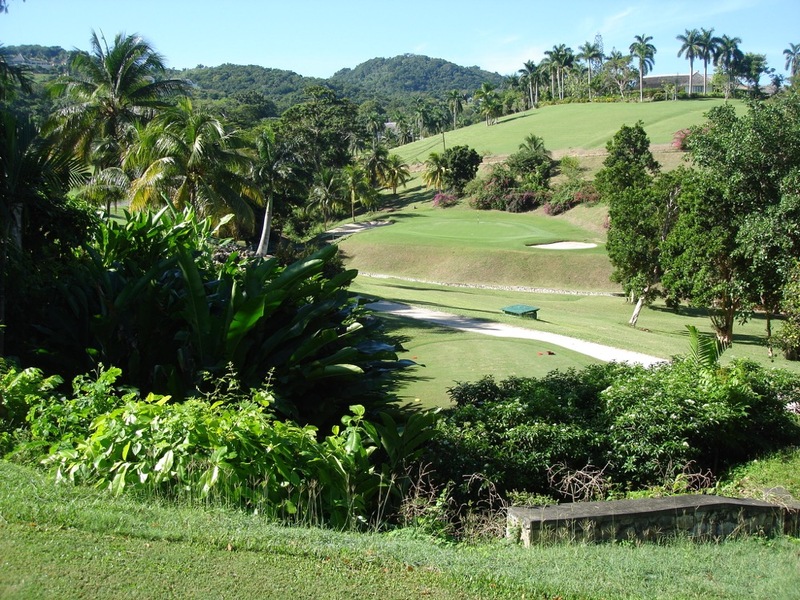 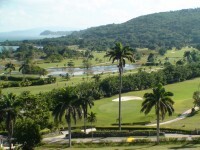 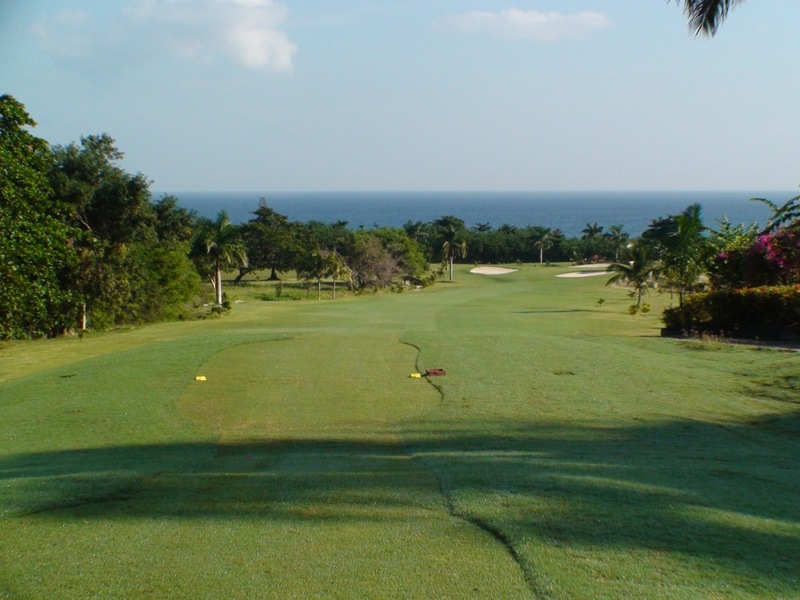 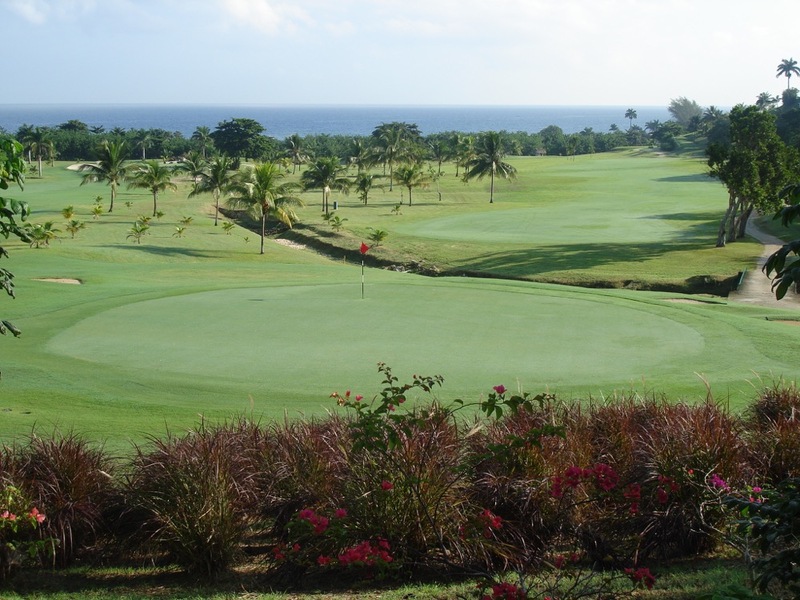 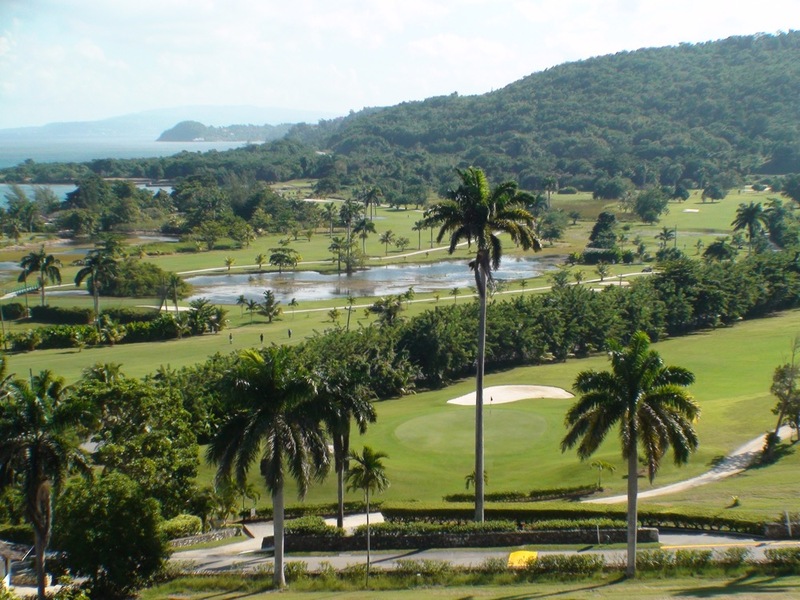 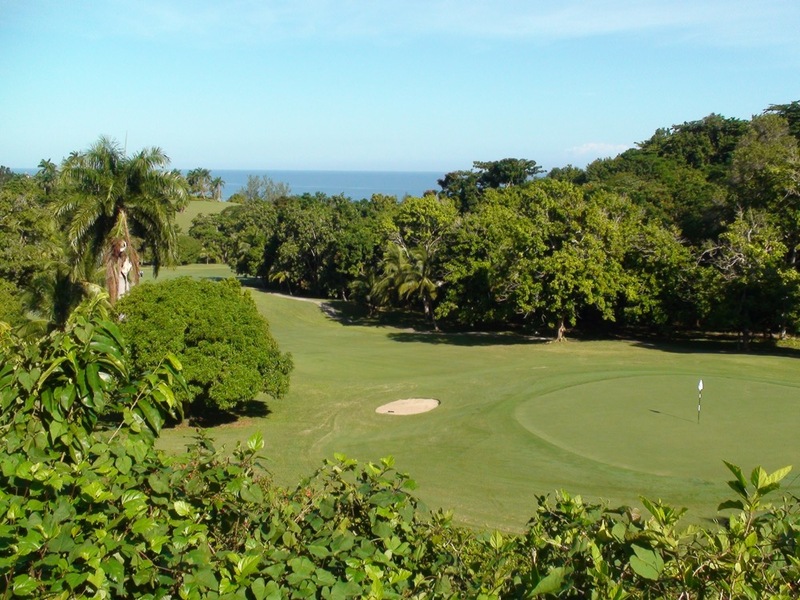 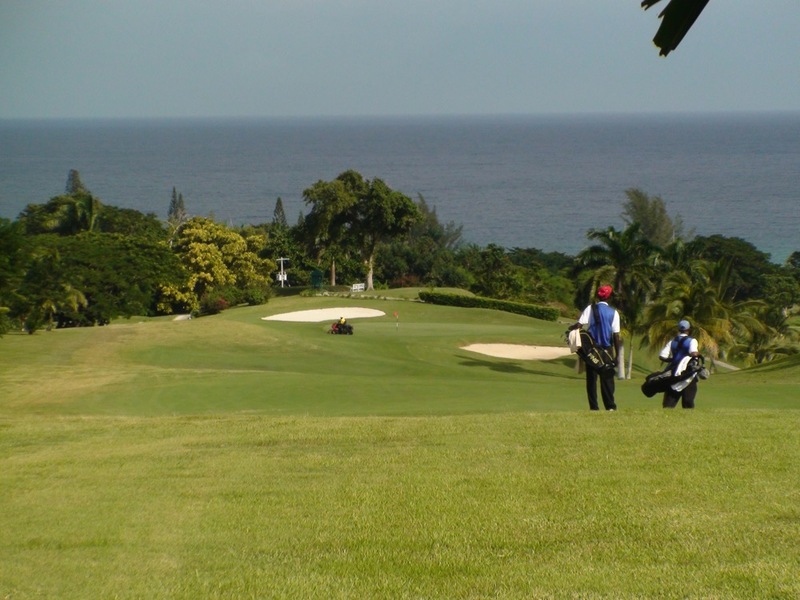 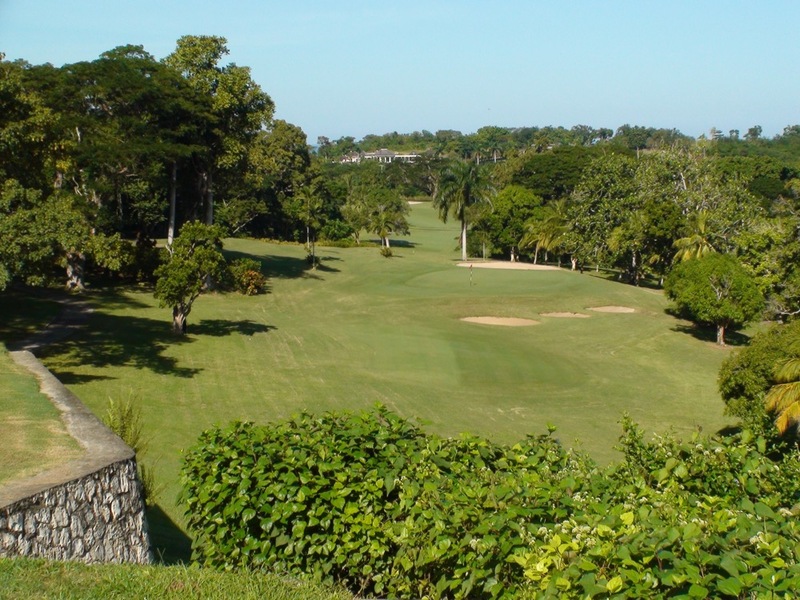 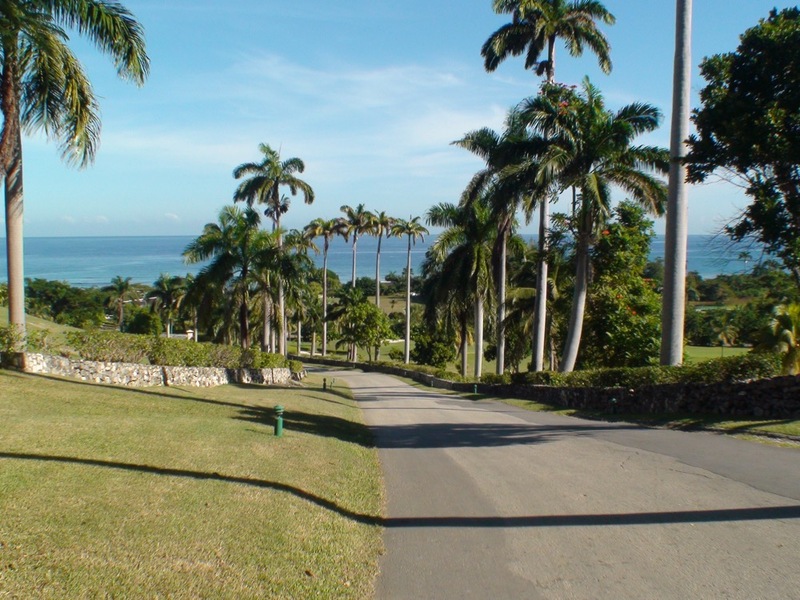 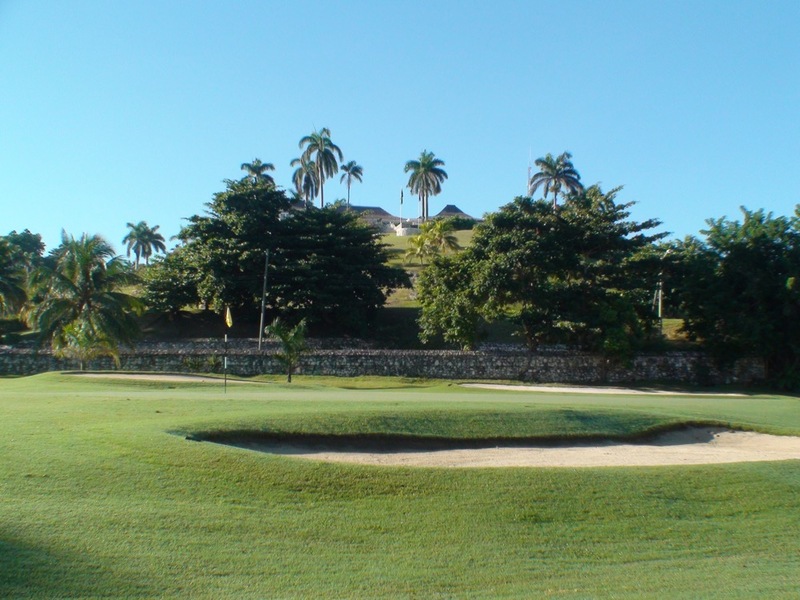 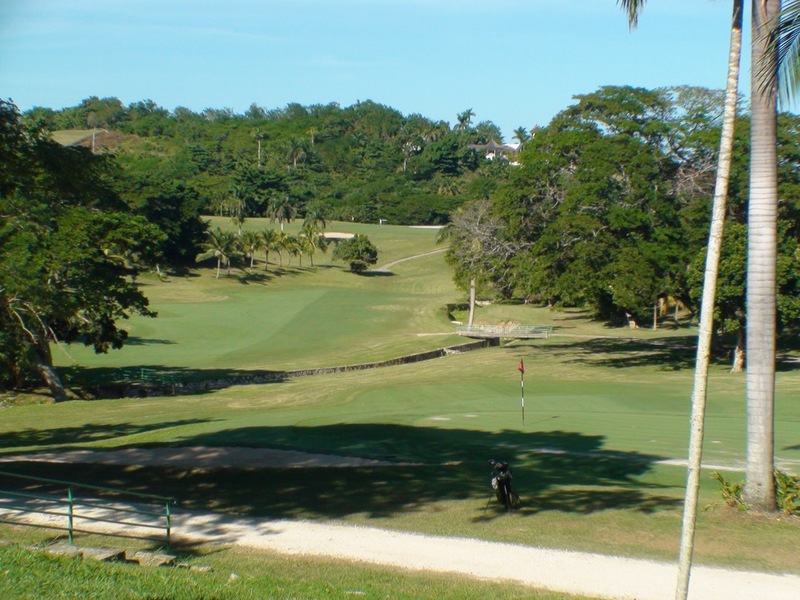 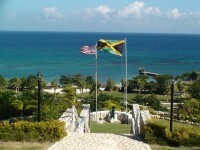 With history, golfing tradition, endlessly interesting terrain, and one memorable golf hole after the next, The Tryall Club should be on anyone’s “bucket list” of courses and acts as the anchor to any Jamaica golf vacation.